In August 2014, Responsible Travel went viral with its long awaited decision to denounce elephant trekking and safari. On a website link the company states: “… the more questions that are asked about elephant riding, the more it becomes clearer that not only is this not an ethical means of conserving elephants – it is, in fact precipitating their extinction in the wild”. Expecting the company to remove abusive elephant rides from its itineraries in Nepal, Elephant Watch Nepal was shocked to find that an exception has been made for safaris in this country! How true is this statement? Simple: it ain’t. 1. Revenues from the elephant rides go to the pockets of the owners, and are NOT used for conservation. The entrance fee to park and bufferzone ares are used for conservation but without rides the income will remain stable as people will use other means to view wildlife. 2. There are many other/better ways to view wildlife in Chitwan. Jeep, canoe or walking safaris are safe and are more respectful as the wildlife is not encircled by countless elephants. They also benefit more community members. Most Western tourists actually enjoy this kind of safari better as no animal abuse is invoved. 3. All safari elephants in Nepal are smuggled across the border from India. In the first half of this year alone 3 new elephants arrived from India. 4. 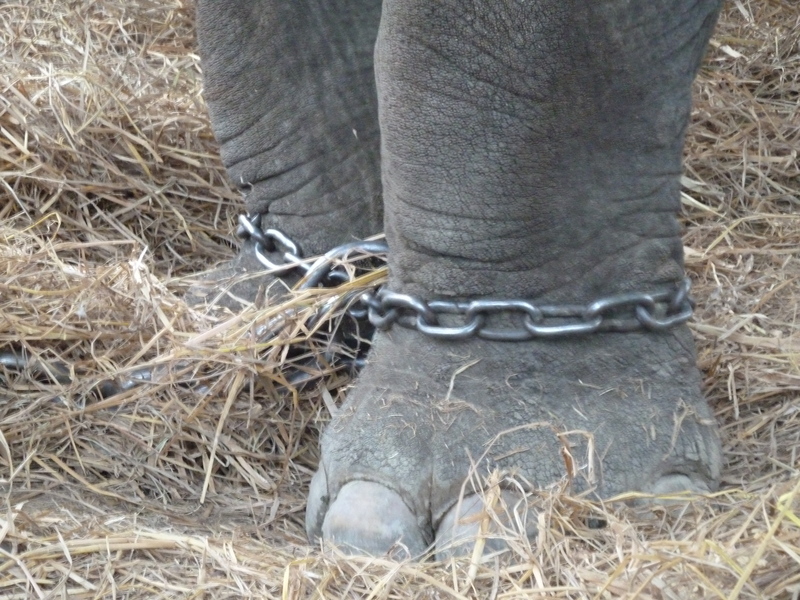 Some elephants are captured from the wild. In 2010 the Indian police busted a gang in Assam that captured and trained wild elephants for safari tourism in India and Nepal. 5. Private elephants do not contribute to wildlife conservation. Government elephants are used in anti-poaching activities. Private elephants ONLY benefit their owners, no one else. 6. Nepal has not welfare rules for safari elephants. They are overworked, overloaded, undernourished, beaten, chained, and deprived of any kind of natural behaviour. 7. Nepal has no elephant sanctuary. This means elephants do not retire. Handicapped and sick elephants too have no place to go. Elephant Watch Nepal (EWN) has been discussing the issue with Responsible Travel in great detail, who have replied that for now it will not change its stand on safaris in Nepal. EWN is deeply disappointed in the stand of Responsible Travel. The fact that the suffering of Nepal’s safari elephants continues in the name of ‘responsible’ tourism is unacceptable. The decision to exempt Nepal is an embarrassing one for the company, and based on all the wrong arguments.